What’s in a name? If I were to say certain names, they would conjure up very specific images. J.J. Watt – Texans hero! We don’t know much about her, and what we do know is puzzling. In the ancient near-East, to give your name to a person was to tell them the essence of who you are. This is why the naming of your children was so important and why God changed Abram’s and Jacob’s names, revealing how He was working in their lives, changing their character and purpose. So what’s in a name? Talk about a name! I Am! 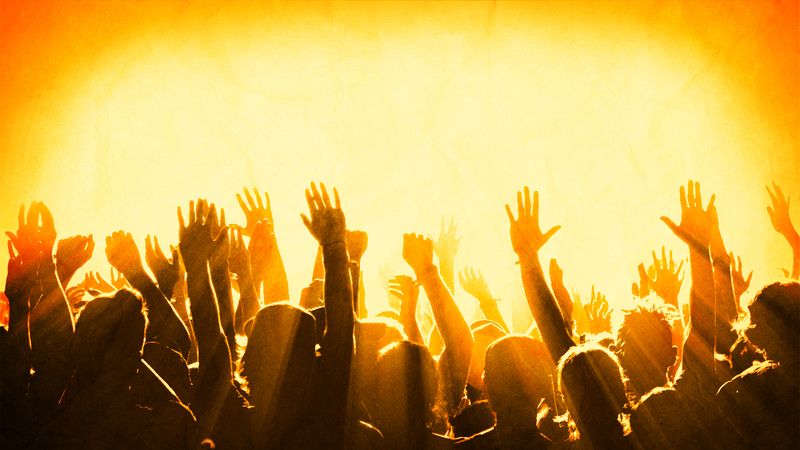 It was so powerful that the Pharisees in Jesus’ time fell down at the very name. In this passage, God identifies Himself with the Patriarchs yet reveals that He is the God who stands alone. He sets Himself apart from all people and all gods. And yet, He invites people into His story and gives them a name and a purpose. So I asked you, what’s in a name? Zipporah – Midianite, Daughter, Sister, Shepherdess, Wife, Mom, Israelite? As we form a picture of Zipporah in our minds, the first identity marker we find is Midianite. 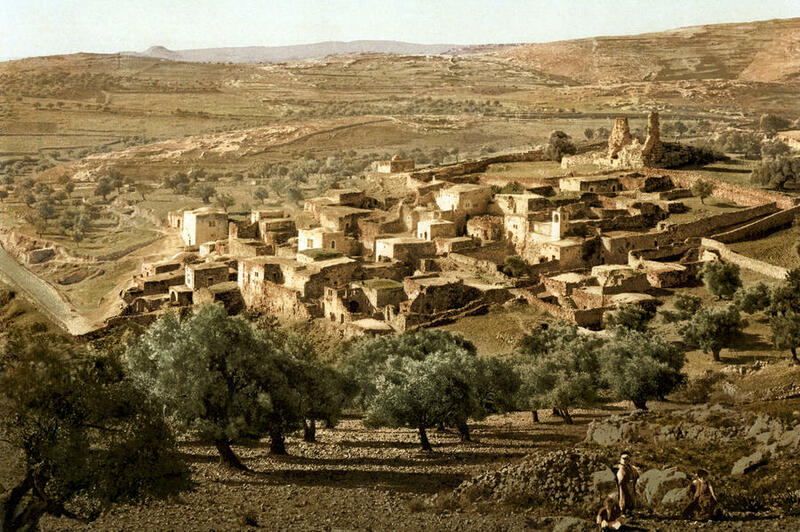 What did it mean to be a Midianite? Bible footnote (FN) for verse 15: The Midianites were descendants of Abraham by another wife, Keturah, whom he married after Sarah died (Gen 25:1, 2). We first hear of this people group in Genesis 37:25-36 when Midianite merchants purchased Joseph from his brothers then led him to slavery in Egypt. 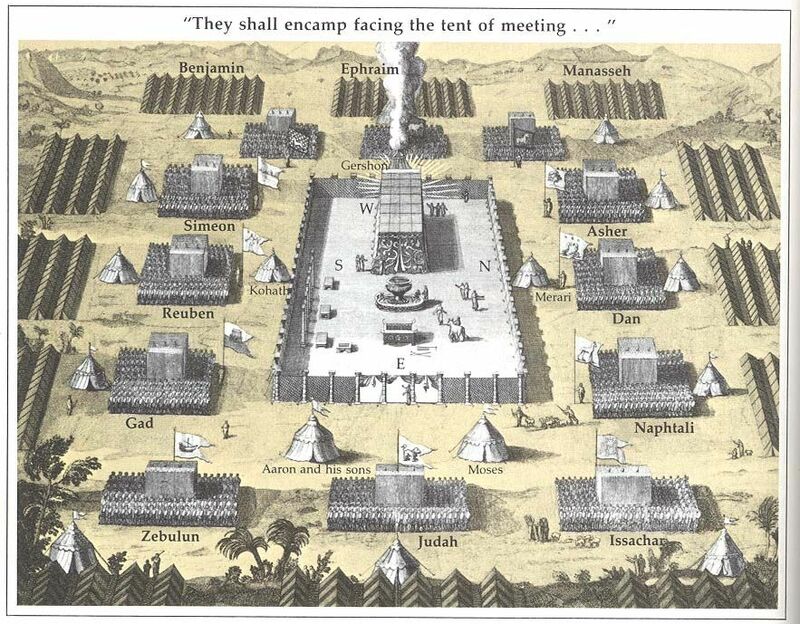 Later we hear of the Kenites, probably from the Midianite clan to which Reuel belonged, who joined the Israelites, integrating seamlessly into their society (Nu 10:29-33; Judges 1:16; 4:11). Hamilton’s Commentary also notes that Midian consisted of a confederation of peoples, one of which are the Kenites. 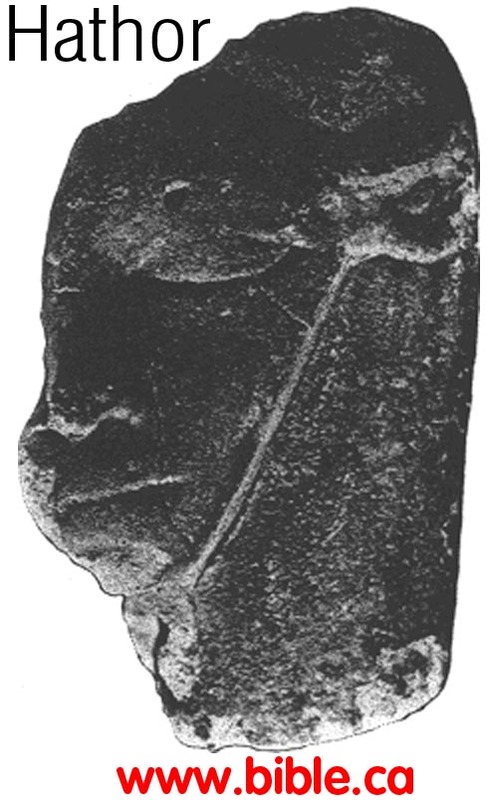 Their name meant “smiths” or metalworkers at the mines in the mountains of Sinai/Midian. They may also be a clan of priests, of whom Reuel belonged to. 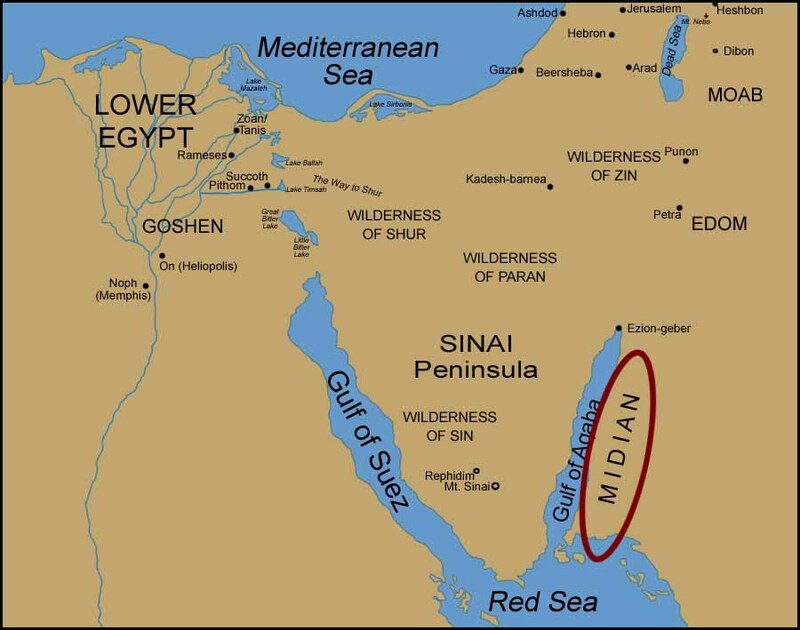 The land of Midian was most likely located south of Canaan and southeast of Egypt and east of the Sinai Peninsula. 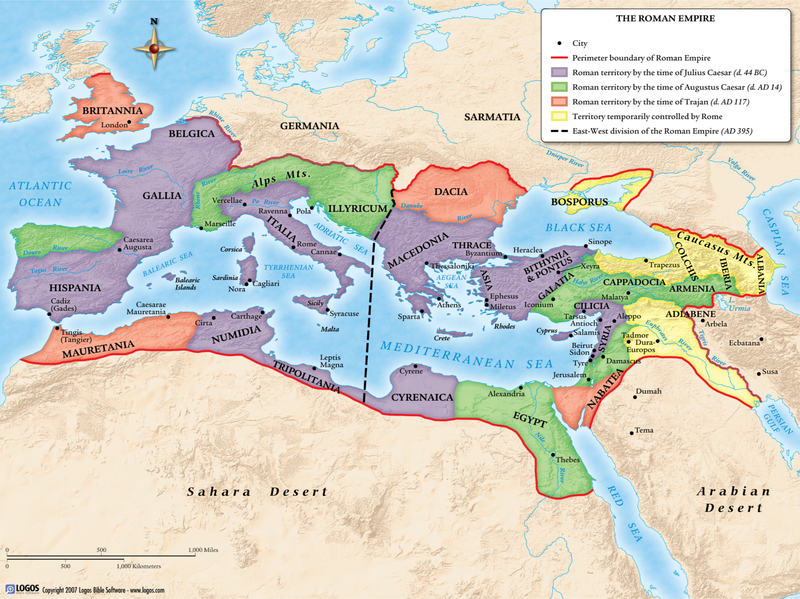 It is best to think of Midian as a region rather than a specific location, however, because of the belief that they were a collection or confederation of people groups. 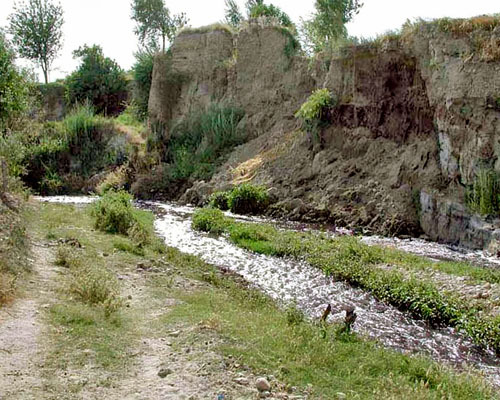 This area is present day Saudi Arabia. Google maps photo credit. 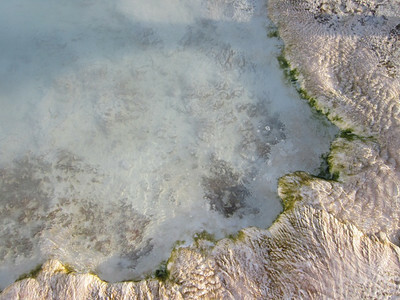 A view of the terrain of Midian. In order to fully understand Zipporah, we need to think about what it meant to be the Daughter of a priest. 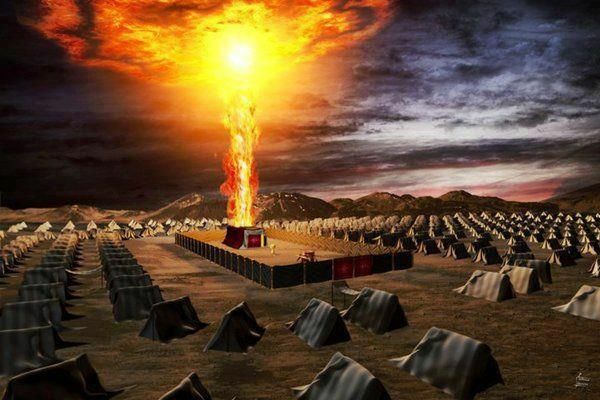 We can ask the question: What was Reuel’s job as a priest in Midian and how did this affect Zipporah? (v. 16) The only evidence we find in the Bible about his role as priest is that he performed the sacrifice when meeting up with Moses after the Exodus in chapter 18. Reuel’s name meant “Friend of God/El” or “God/El is a Friend” (From Exodus: An Exegetical Commentary by Victor Hamilton). This name likely came to him after he expressed his belief in God in Exodus 18, becoming the “friend of God”, although many believe he had always been a worshipper of God/Yahweh. So as we picture Zipporah, you can imagine with me the kinds of sacrifices she had to make, being the daughter of a “religious leader” in her culture. I don’t know if we can truly compare her to that of a present day preacher’s kid, but I can imagine that the people held them in high regard which means they also had high expectations of her and her family. And while we don’t know exactly what their religious practices were, she would likely have been expected to participate in all their religious rites and rituals. 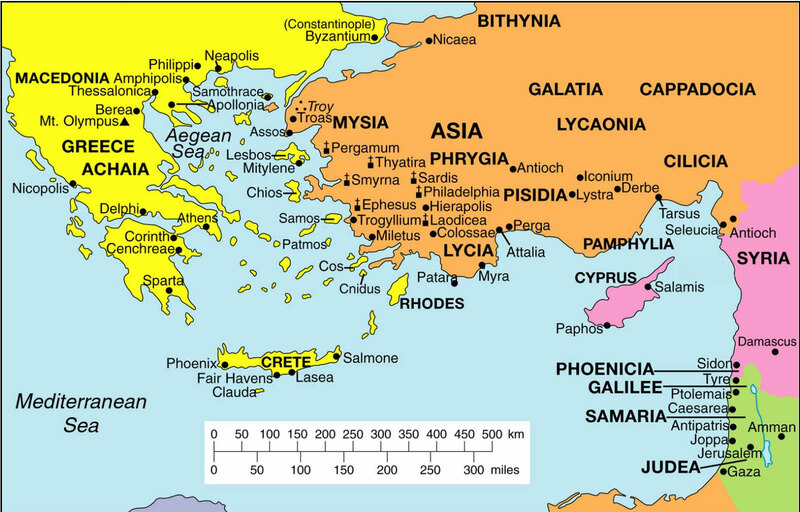 Another reason scholars believe the Midianites were polytheistic is because of what was found from excavations done in the region. 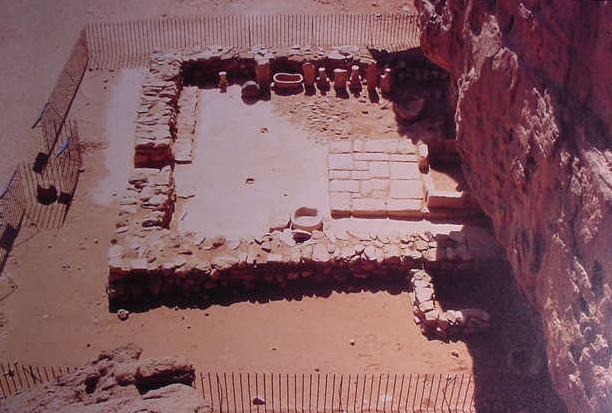 Here is a tented shrine found at Timna in northern Midian territory (tent holes in ground for poles; naos or “most holy place” in the middle right against the wall). 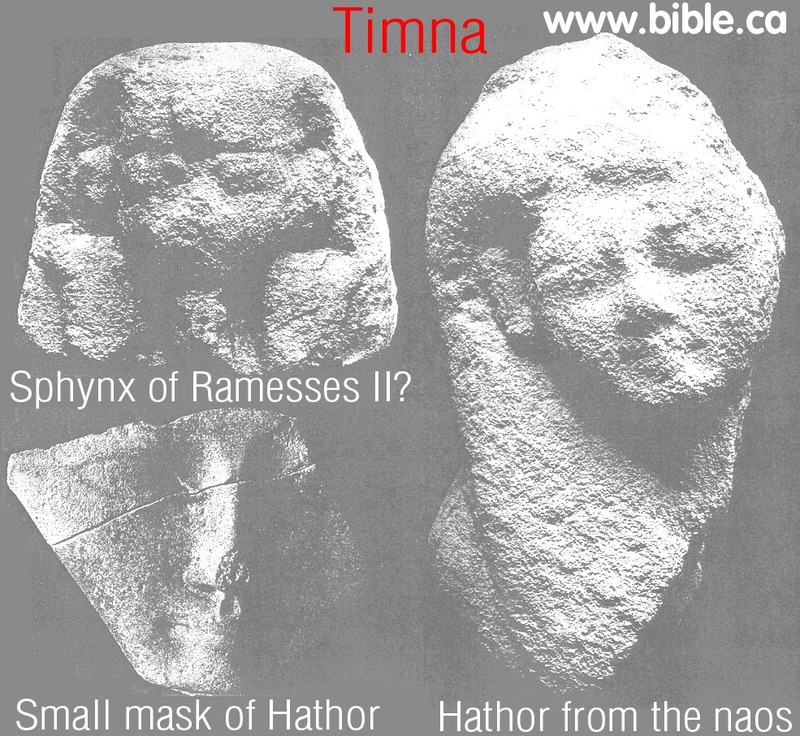 Here are pictures of the Egyptian goddess “Hathor” who was a cow deity found in Midianite territory. It appears as though they often adopted Egyptian gods as their own. The middle picture shows her “cow” ears. 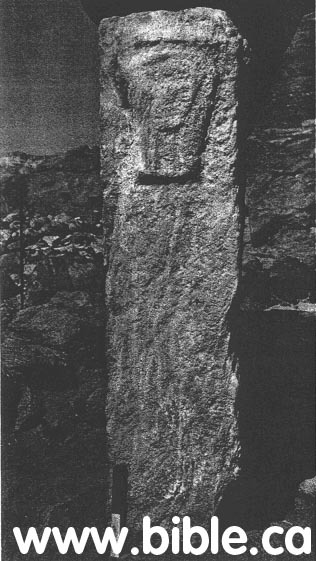 The last picture is a defaced Hathor. 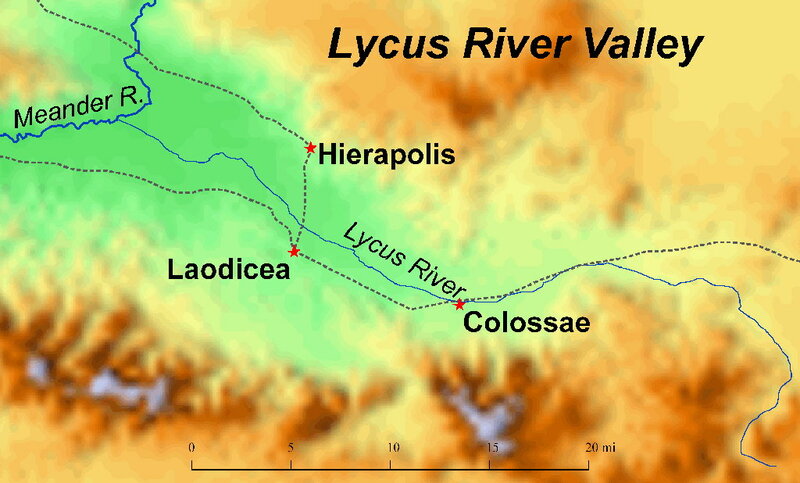 The archaeologists believe that the Midianites recaptured this Egyptian land and defaced all the Egyptian god and goddess statues. Lastly we have a figurine of the Midianite god-man and a bronze snake. 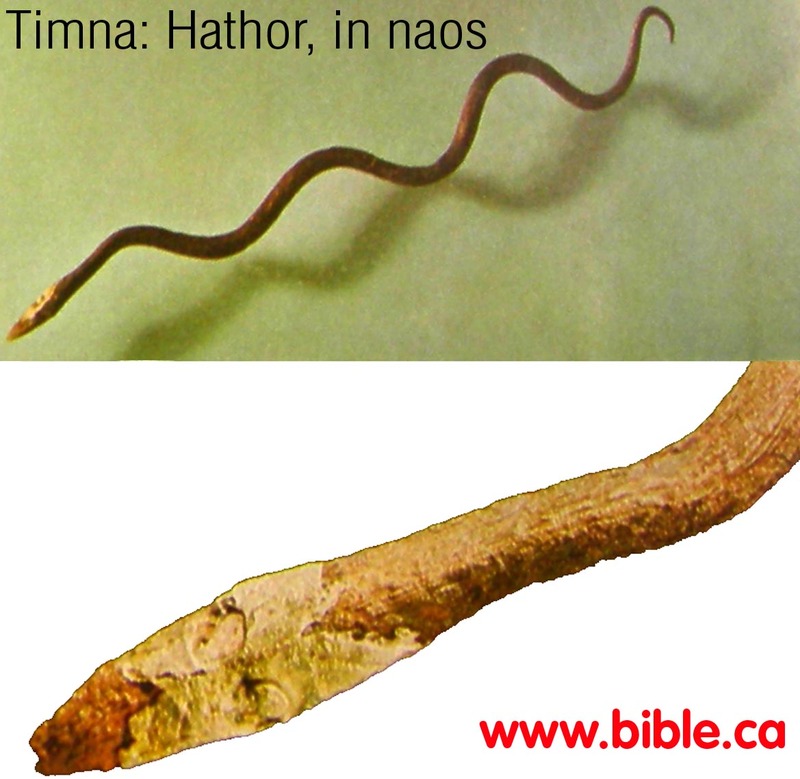 Egyptians worshipped snakes and Midianites appeared to as well. While it may be possible that, being Abraham’s descendants, they had heard of Yahweh, the Midianites most likely served other gods. This means, Zipporah served other gods under the direction of her father because women worshipped whatever gods their fathers served since this was a patriarchal society. Next we see Zipporah in the role of Shepherdess. The role of a shepherd went to either servants or women. In other words, it was not the ideal job. No, Zipporah had her choices made for her. Her life of sacrifice would have been forced on her whether she liked it or not. Being a shepherd couldn’t have been an easy task for them either based on what we know from other stories about shepherds in the Bible. Secondly there were dangers of wild animals and robbers. For example David had to fight off bears and lions (1 Sam 13)! Not only that, but to water an entire flock took some time and effort (a thirsty camel could drink 30 gallons in just 15 minutes!). This explains why Reuel was surprised to find them back home so early. Then it sounds like these ladies had to contend with other shepherds that weren’t as chivalrous as this outsider, Moses. There are so many examples of irony and foreshadowing in Exodus. Consider verse 17. The phrase “drove them away” can be seen as a parallel to Moses being driven away from Egypt by Pharaoh. And the phrase “saved them” as a foreshadowing of God saving Israel from Egypt. The day this Midianite shepherdess took her flock to the well turned out to be the most life-changing event in all of her life up to that point. Talk about an interruption of the heart! And can’t you just see the sovereignty of God being displayed here. Out of all the peoples of the earth, God chose the Israelites to be His special possession and for Him to be their God. To be included in this promise was a privilege that only an Israelite could enjoy. Here we see Zipporah, a Midianite shepherdess, becoming part of this grand story. And even though we may become frustrated with how little is written about her encounter with the God of Israel, we can know that it was through His sovereignty and love that He brings this shepherdess into the fold. The next identity marker for Zipporah is as a Wife. This part of the story actually makes me laugh every time I read it. 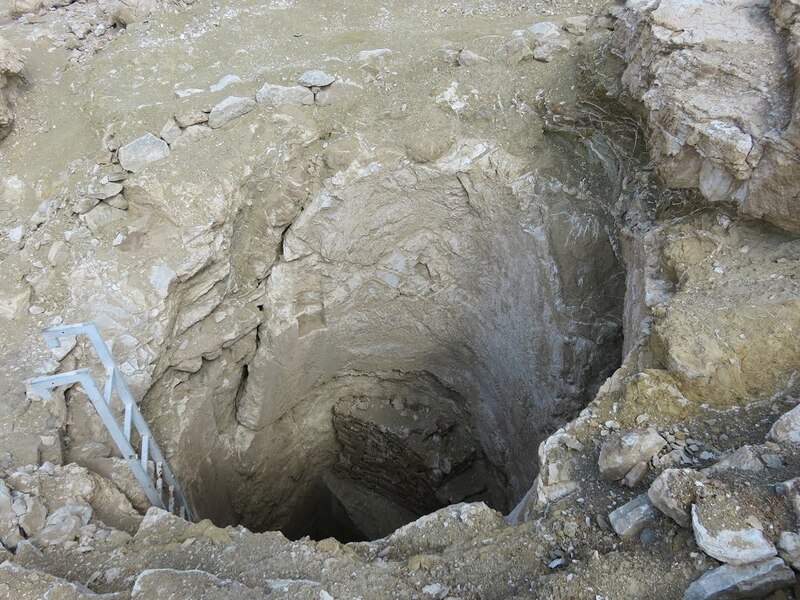 We read about Moses rescuing these ladies, and they just leave him there at the well! Reuel seems astounded at their lack of hospitality, and wanting to thank the man who helped his daughters, he orders that he be brought to his home, feeds him, and gives him a wife from among his daughters! Zipporah was the lucky one. This Midianite woman became the wife of the greatest prophet of Israel. And yet we have so little written about her that you get the sense that she is completely overshadowed by her husband and sometimes even by her father. In fact when you see Reuel mentioned, he’s referred to first as priest and then almost solely as “father-in-law”. This passage establishes the important relationship being between Moses and his father-in-law when it says in v. 21: Moses was content to dwell with the man. We have to keep in mind that their patriarchal society resulted in different customs from our own. Arranged marriages are also something of an anomaly to us since we don’t live that way in our culture. Though it seems like a huge sacrifice to us when we read of a woman being given to a man she hardly knows, it probably seemed as natural to them as performing their daily sacrifices. Oh the irony of what sacrifices would await Zipporah as she lived her life with this man of God. To wrap up our passage we get a nice little bow wound neatly around a baby boy as we see Zipporah in the role of MOTHER. The very last verse rushes right into information about their offspring! In my dictionary of the Pentateuch, I read that the marriage contract was not finalized until the consummation of the marriage took place. So even though this one verse seems out of place or even like it jumped too far ahead in our timeline, I believe it was to show that Moses and Zipporah did indeed become husband and wife legally. 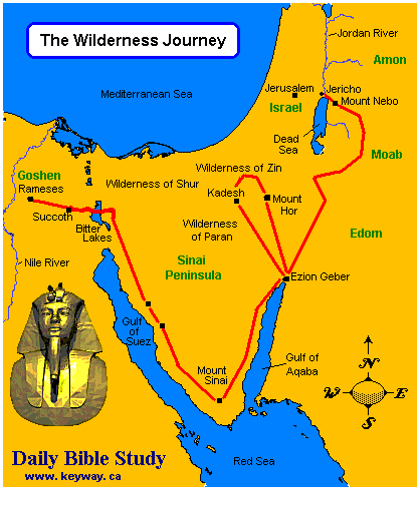 Verse 22 tells us they had a son named Gershom which meant sojourner in Hebrew. FN: This name suggests a foreigner who was banished into exile. Because Moses had become a sojourner or stranger in a foreign land. Because we will read more about her in the role of mother, I won’t go into further detail at this point.